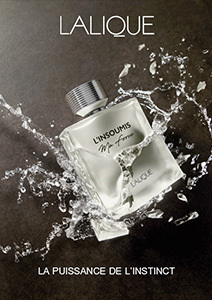 The new collection takes us on a deep plunge into an aquatic universe. 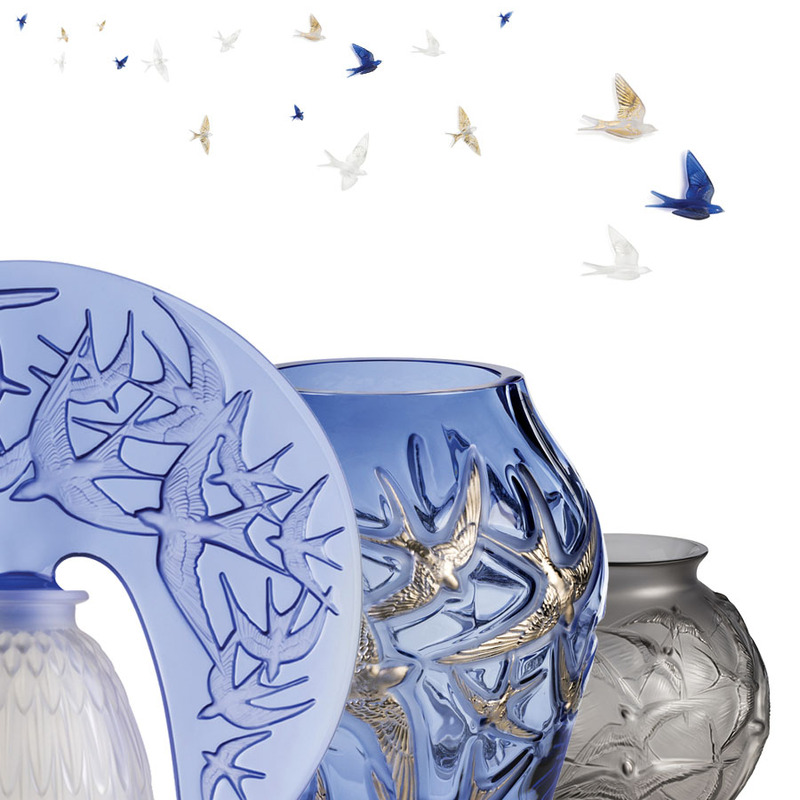 Thanks to the talent of Lalique’s artists and the exceptional expertise of its master glass masters,Lalique captures the graphic power of fighting fish and the powerful and symbolic expressions of ornamental sea creatures like koi and carp. 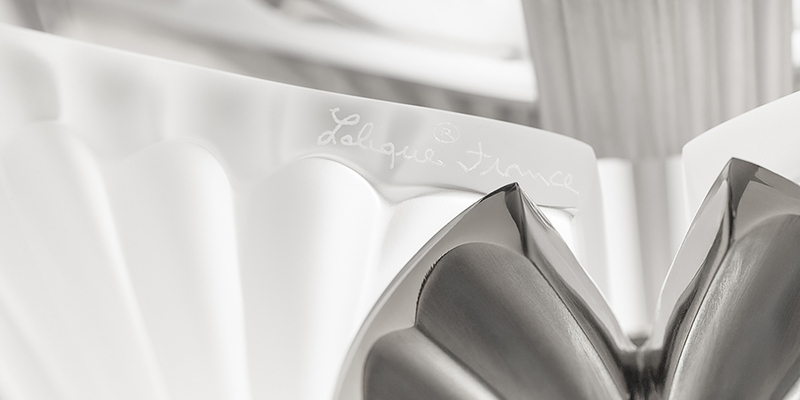 To celebrate the 130th anniversary of our brand, the new fall-winter collection takes us to the heart of the immeasurable heritage built by René Lalique. 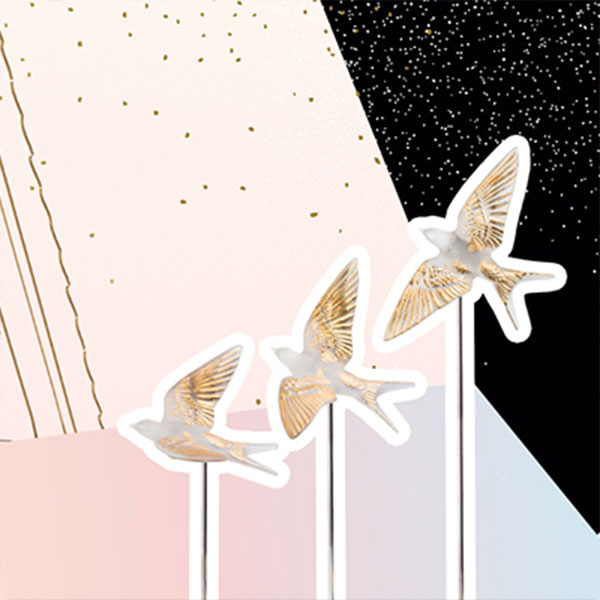 Lalique reinterprets the figure of the swallow, symbol of happiness and freedom with new colors: platinum stamping and grey crystal. 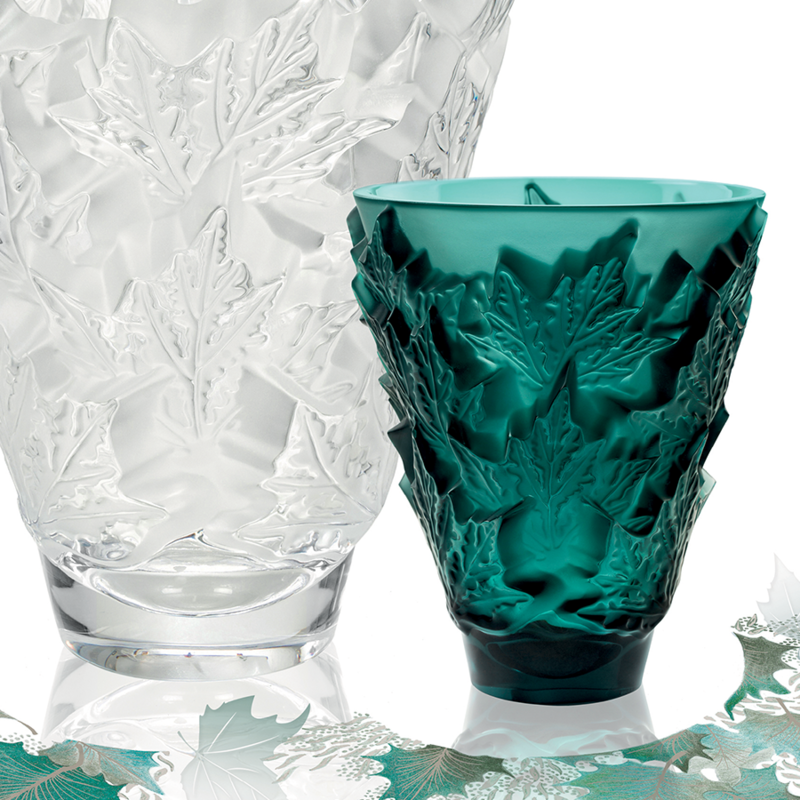 Sculptor of light, Lalique crystallizes Nature and invites us to admire its beauty. 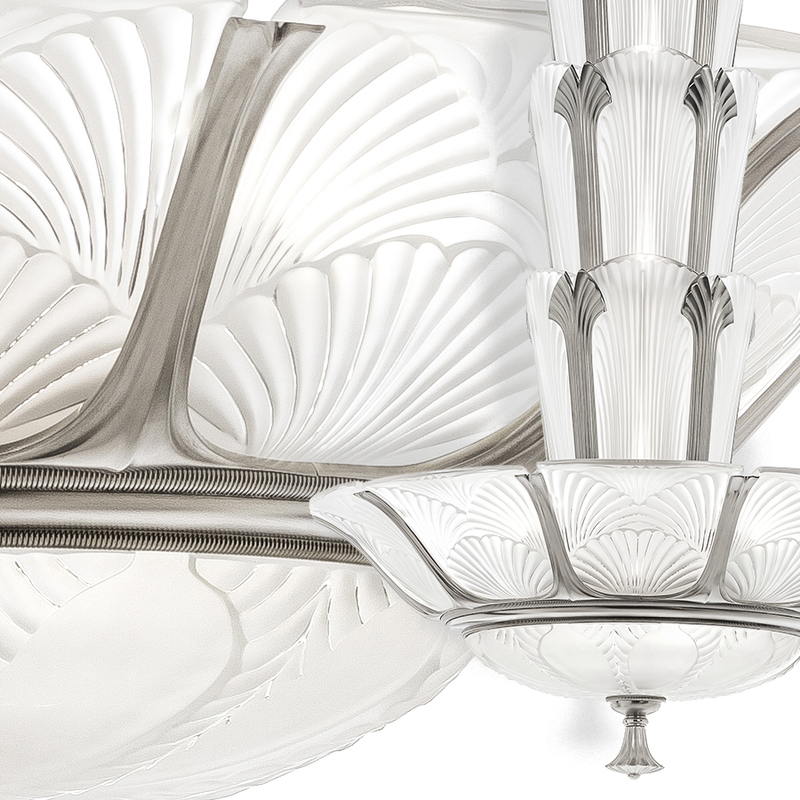 Ginkgo, a lighting collection combining the haute couture know-how of the master of crystal with the master of bronze and iron art. 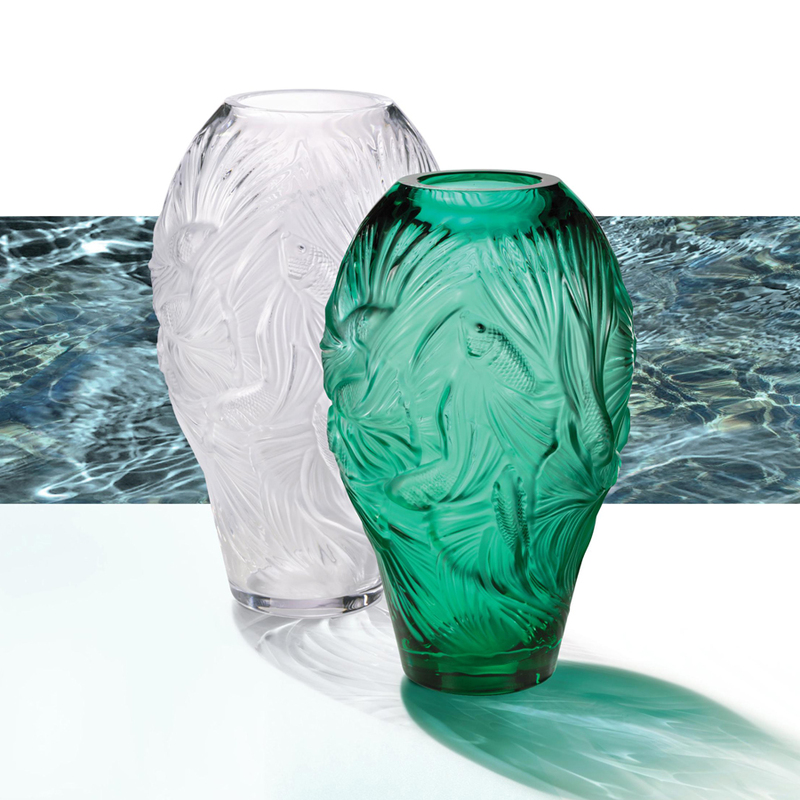 Discover Lalique’s most iconic designs with a beautiful selection of decorative objects for the holiday’s season: vases, sculptures and bowls to create your own timeless style.